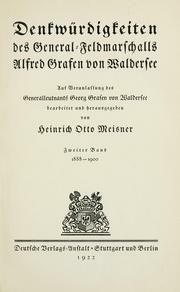 5 editions of Denkwürdigkeiten des General-Feldmarschalls Alfred Grafen vo... found in the catalog. Add another edition? 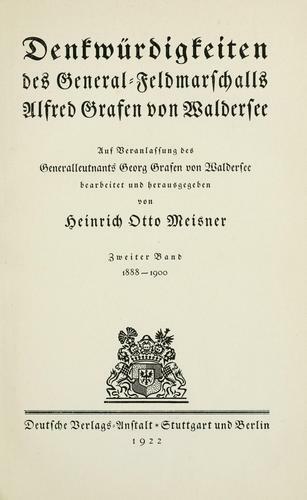 Published 1922 by Deutsche Verlags-Anstalt in Stuttgart . July 6, 2009 Created by ImportBot Initial record created, from Internet Archive item record.